The Parent Book Club is open to all KIS parents. It is a wonderful opportunity for parents from both Primary and Secondary school to get together to discuss parenting issues, strategies, and related topics. It provides an opportunity for both casual and intellectual conversation in a safe and supportive environment. We welcome you to join the next Parent Book Club. I hope you have all enjoyed your Winter break and managed to get some rest while spending time with family and friends. The new year is a popular time for resolutions and ambitious goals setting. It offers people a moment to start fresh and adopt a positive outlook on life. Please be mindful though, not to put too much pressure on yourself, as this would defeat the purpose of self-improvement. We all have moments of stress, and this stress, can significantly impact all different areas of our lives. It is therefore important that we consciously make efforts to develop stress coping strategies. When it comes to specific stress triggers, such as those linked to being a parent at an IB school, it can help to talk to some experts. This is an online event created for parents, teachers and school leaders in schools that offer the IB Diploma. Over 7 days, 14+ experts will talk about how we can reduce our stress levels, as well as those of our students and kids. Interviews go live on October 27th 2018, which is when the summit starts. This is a free event, so all you need to do is register below, so as to get notified once the summit begins. For more information, click here for the Stress less Summit website. Please find below the videos from the Brain Development Workshop, hosted by myself and Ms. Magda, our secondary school counselor. It was so wonderful to see so many of you there. These videos, provide an overview of the the stages of brain development, neuroplasticity, and how these two tie in with the concept of Growth Mindset. Supporting our children and students in developing a growth mindset is key to their learning success and overall confidence. As a school we aim to empower our students and encourage them to try at every task! The first day back as school is always full of energy, excitement, and sometimes, jitters. 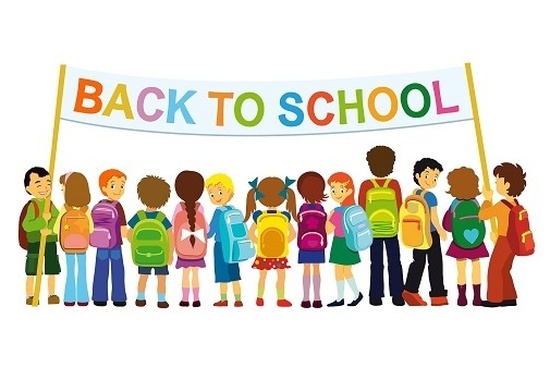 Teachers are eager to meet their students, students are excited to see their friends, and parents are often thrilled to see their children take an important next step. It is a day to catch up with friends, swap summer adventure stories, and reconnect the school community. Of course, coming back to school can also bring some feelings of anxiety. This is perfectly normal. When this happens it is important for us all to remember our methods of self-care and make use of our support systems. Whether it is a healthy meal, a chat with a friend, or a simple hug, please be mindful of your needs during these exciting and busy first weeks of school. 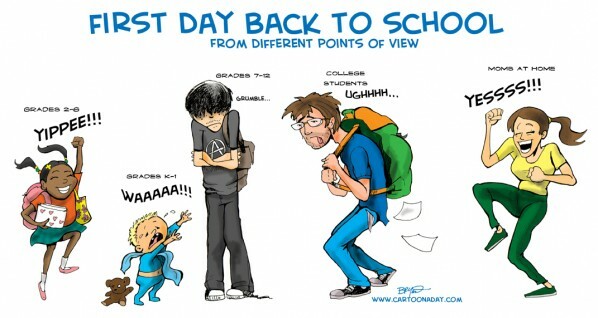 Don’t forget, these “back to school” days impact all of us differently. It is therefore important to communicate with your children about their expectations, excitements, worries, and concerns. If you are new to KIS, or Bangkok altogether, don’t be afraid to reach out to members of our community for support. You might enjoying connecting with KISPA, our Parent Association. They are a wonderful community who enjoy getting together to organise school events and provide continuous parent support. You may also touch base with your child’s teacher, or reach out to members of our administrative team. Lastly, my door is always open. Come by, introduce yourself, and tell me a little bit about your and your family. I have a feeling 2018-2019 is going to be a wonderful year here at KIS! See below “First Day Jitters” by Julia Dannenberg- a wonderful read-aloud to listening to with elementary age children who are anxious about returning to school after the summer holiday. Posted in Parenting	| Comments Off on Welcome Back! The end of the academic school year is coming closer. This means that all our children are preparing to transition. Whether they are transitioning to another grade level, apartment, or country- they are all facing some changes. This is a positive and exciting time! However, it can also feel daunting or make people nervous. We are very happy to announce that Gea Visscher, an experienced Clinical and Educational Psychologist, is coming to KIS! Mrs. Visscher offers a wide variety of services to schools, teachers, parents, adolescents, and young children. Though she currently lives in Jakarta, Indonesia, she regularly visits Bangkok and is available for booking. On March 9th, Mrs. Visscher is coming to present to the KIS Parent Community about the different types of services she provides. She will also take time to offer some support to our parent community. The session will therefore include a 20-minute services presentation as well as time for open forum discussion. If you have any questions about learning support, psychotherapy, mental health, assessments, or anything else related to this field, you may be interested in coming to this forum. It is a wonderful opportunity to collect valuable resource information and ask burning questions in a supportive environment. One of the most common questions I get from parents are about communication. Sometimes, it can be tricky to get your child to share openly with you. This can depends on many different factors; their energy level, hunger level, personality, emotional state, environment, etc. What is important to remember, is that every child is different, and every parent is different. This means that the strategies your friend, sibling, or even partner uses to communicate with your child; might not work the same way for you. Luckily, there are plenty of different strategies you can try our and tweak. That way, you can find out what works best for you and the relationship you have with your child. Of course, methods that you used a year, or two years ago, may not work as effectively today. Your child is developing and changing all the time. That is what makes this parenting thing so challenging. You are never quite done figuring out the best approach. So get ready to be kept on your toes! Play question games- Games such as “Two lies and a Truth” can make it more entertaining and engaging for children to tell you bits about their day. Learning!- Ask what they learned at school rather than what they did. We all do so much in a day, there might be too much pressure in telling someone all that you did. However, identifying some thing you learned might be a little bit easier. As a bonus, this strategy will also help them to reflect and integrate their learning. Dig deeper- Comments such as “That sounds interesting. Tell me more about that.” or “I wish I knew more about earthquakes.” or “Can you give me an example?” Dig deeper into a specific topic, helping you to build a conversation rather than going through a one-way question routine. Be careful not to pressure a child too talk about too many specifics though, if they feel like they are being interrogated, they may lose interest and break away. Make Connections- connecting what your child is saying to previous experiences can help to ignite interest in the conversation and promote further and deeper sharing of thoughts and feelings. These connections could be personal, like a family holiday, or informative, like something you saw on TV together. Empathy!- Use expressive empathy skills such as reflecting back emotion, summarising what they said, making eye-contact, using an engaging and sympathetic tone of voice, etc. If your child sense you are sympathising with them and interested in what they are saying, they are much more likely to tell you more! Decrease pressure- sometimes having a face-to-face, sit-down conversation can seem too formal or pressurised. Conversations while you are doing the dishes or driving home from school are ideal for casual, low-pressure, catch-ups. Telling someone about your day should be relaxing and fun! So turn on some tunes and, ask a question, and see where the conversation takes you. Share about your own day!- Having a conversation that includes back-and-forth is much more relaxed than being questioned. It will also help your child to build empathy skills as they learn to appreciate all that you do for them in a day! Daniel J Siegal walks listeners through a guided medication session of about 25 minutes, using his metaphor of the Wheel of Awareness. This is a medication exercise you, as a parent or guardian, might enjoy doing yourself. You could also invite your child to join you if you feel like he or she may be developmentally ready to engage in this type of medication.